It’s not up on the main site, but in case people missed it, Halo Wars 1; Definitive* Edition is up on the Steam store and will be available to buy on the 20th, $20. Does not allow for cross-play with users from the Win10 Store and can run on Win7 as it runs on Steamworks. If you’re wondering if we’ll be seeing any other Halos, well…who knows? Wars 2 on Steam is certainly a possibility and given it’s extremely unlikely a new mainline wouldn’t be an Xbox Play Anywhere (one copy works no Xbox One and PC, although there’s a little more to it than that) I think there’s reason to believe it’d at least be available on the Win10 Store. As for Steam, or the older titles, I guess that depends on how much Microsoft want money. *Because it doesn’t need the Win10 Store. Zing. 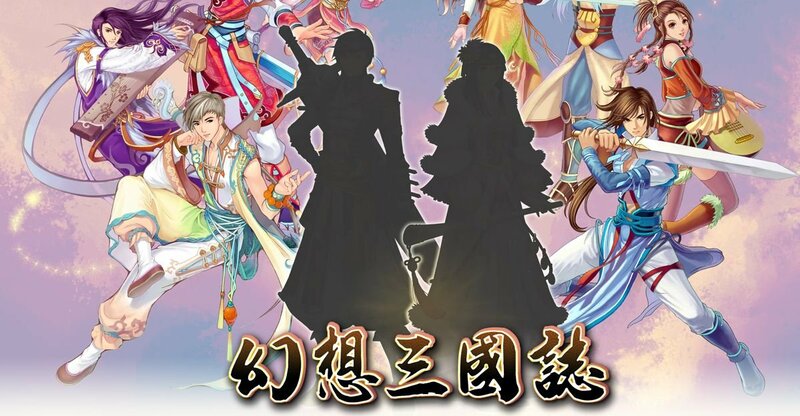 Yahoo~~~ After 9 years, Fantasy of Three Kingdom will have a new installment within this year! Turns out the announcement had been made last Dec, how could I have missed this great news?! Hey you know when Sega said there were ports coming to PC this year and that Bayonetta wouldn’t be just it and that Platinum said they’d port any games to PC if the publisher allowed it? Bayonetta was just updated to include that image. 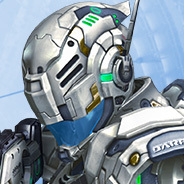 That’s the helmet of the protagonist in Vanquish, by the way. Vanquish published by…Sega. Don’t forget all those Little Stone test apps as well, given we know they’ve worked with Sega on ports now (Valkyria Chronicles and now Bayonetta). Then I wait to see how much they gonna price this almost decade-old game, which had been for the last gen. But, will definitely buy a better joypad just for this. A very brilliant fast-pace TPS you cannot afford to miss, if you have XB360/PS3 that is. I would guess it’d be the same price as Bayonetta, which seems rather reasonable. Destructoid says that a rating leaked for Mega Man Legacy Collection 2 that’ll feature MM’s 7-10. I think that’s a little disappointing, really. Apparently the first collection was fine, ultimately held back by a few problems, but it did also have 6 games in. Whilst I’m sure this will be priced accordingly, they couldn’t include X? Are they just going to do an X pack then at some point? Given the fact it’s rated and the time between announce and release, I think this will be out before the end of the year (easily?) and maybe not that far away if we’re lucky, possibly a summer release. yeah I agree 4 games is slim compared to the first. I think it should have included Mega Man & Bass, at least. I do think it’s great that 9 & 10 are included - given that they’re much newer games, though. I would not be surprised if an X collection will follow. And that would be fantastic. X and X4 are two of my favorite MM games of all time. I actually still have the DOS port of X currently installed. Of the four horsemen, this time around it’s Fury’s time to shine, as a mage with a whip. Gematsu has the details, Amazon listings leak. Given the screenshots already being up, I’d imagine this was to be announced before E3, with a blow-out at E3 itself. Aiming for a 2018 release. It looks reaaaaaaal purdy. As someone who thoroughly enjoyed Darksiders 1 (as a Zeldaesque game, it did far more for me than Skyward Sword) and was disappointed by 2, but still enjoying it, I wholeheartedly await playing 3, even if it’s not made by the same team as the previous two. I’ve never played the Darksiders games. I’m always intrigued at the Zelda comparisons, but then for some reason turned off by the art style. Sticking with a single Horseman is probably safer for a series revival anyway. They were always playing with trying to get multiplayer in. Darksiders 1 was originally going to be four player co-op with all the horsemen, then they pared it down to the Zelda clone with War. Then in the original design doc for 2 there was going to be a four-player horde mode where you could play as Death, War, Ulthane, or Uriel, and then that got cut early on. And now we just have to hope the port is as good as Bayonetta’s. I’ll admit, the only Platinum game I’ve played (Revengeance) I found very dull for the most part, amazing soundtrack aside, but Vanquish looks like the sort of game I’d enjoy, with the flying and flipping and slow motion and guns. At this point, I can’t imagine a port would be bad. Under-serviced, perhaps; I could see FPS going no higher than 60, a shame for those who want it higher, but given the base game was 30, even that’s a significant improvement. I believe Platinum have their own proprietary engine too, so assuming that is accurate and they build everything on the same engine, if Bayonetta came over fine, Vanquish should too, not to mention any other titles in a similar scenario. I believe Platinum have their own proprietary engine too, so assuming that is accurate and they build everything on the same engine, if Bayonetta came over fine, Vanquish should too, not to mention any other titles in a similar scenario. Platinum now has its own engine that was built for PC cross-platform development. That apparently wasn’t always the case. Vanquish is one of their older games, from before they really started thinking about easier multi-platform development. In regards to the quality of the PC port of Bayonetta, Platinum Games credited in part the work they had to previously do to port the game to the Wii U. Well here’s hoping it turns out well. At the very least locked 30 would be an improvement over the console versions, given I believe they were liable to dips. That’s not great, but it’s not outright terrible. Incidentally, the teases Sega have put out suggest a May 25th release date. If nothing else, it’s going to be an important date. Like Bayonetta, seems like pre-ordering (and likely early purchases) get some digital goodies to go alongside. And like Bayonetta, release price is £15, full Steamworks support, full controller support, language (voice and subtitles) combinations and so on. In addition, a special promotion that will last who-knows-how-long, all owners of Bayonetta get 25% off Vanquish. For Vanquish, the question isn’t if it has full controller support, but if it has full mouse support. PCGamer says yes. And now I’m very much looking forward to this.